Certification available for ages 12 and older. Check currently scheduled classes listed below. Most classes are conducted January through April of each year. $15—Checks made payable to the DNR. Collected by the instructor at the class. The Advanced Hunter Education Certification Program covers hunter responsibility and safety skills, wildlife ways, survival skills, maps and compass, and current issues concerning hunting. This course meets all other states' hunter education requirements. Purchase a duplicate firearms safety certificate online or wherever hunting and fishing licenses are sold. 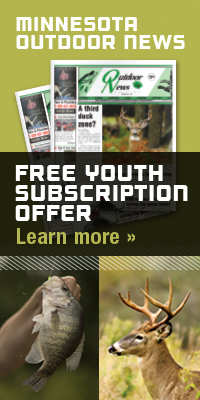 For general information on Advanced Hunter Education call (888) 646-6367 or (800) 366-8917. Become a certified Advanced Hunter Education volunteer instructor. Training is given at the various locations. See our Certified Volunteer Instructor Training page for details. There are organizations that include the DNR Firearms Safety Training class as part of an event or membership package they offer. The fee for the DNR firearms safety training is set at $7.50, with an option for the instructor group to charge an additional $7.50. However, these other programs have additional costs which are set by the providing organization.